Global equities drop as third quarter wraps up. Last Friday marked the end of the third quarter, with global equities falling 0.6% last week1, including declines across U.S. (-0.5%)2, non-U.S. developed market (-0.9%)3, and emerging market equities (-0.3%)4. Year-to-date, global equities are up 4.3%5 as U.S. equities are still the only major region in positive territory with a 10.6% return5. The U.S. yield curve remains relatively flat7, with the 10-year Treasury yield (3.06%) sitting 24 basis points above the 2-year Treasury yield (2.82%)8. The Fed raises rates for the third time in 2018. The Federal Reserve (Fed) moved interest rates higher last Wednesday in a meeting outcome that was closely followed by investors. The Fed removed language from its meeting press release that described its policy as “accommodative,” though Chair Jerome Powell reiterated that this removal does not signal anything about future policy. Expectations for future policy were mostly unchanged, with current forecasts of one more rate hike in December and three more hikes in 20199. The market reaction to the Fed meeting included U.S. equities dropping about 0.8% post-meeting10 and the 10-year Treasury yield moving down about two basis points11. U.S. and China both implement another round of tariffs. Last Monday, the U.S. implemented tariffs on $200 billion of China goods and was hit back with China tariffs on $60 billion of U.S. goods. Also, China canceled planned trade talks and called on the U.S. to reach out for a compromise. At this point, President Trump seems unwilling to budge until China works toward settling unfair trading practices and theft of U.S. intellectual property, while China is digging in as well by preparing stimulus to offset any economic weakness related to trade impacts. The U.S. has gone ahead with tariffs on $250 billion of China exports and threatened to issue tariffs on $267 billion more in China goods, while China has initiated tariffs on $110 billion in U.S. goods. Communication services sector change now in place. Over the last week and a half, S&P and MSCI indices have been rebalanced to reflect the creation of the communication services sector which consists of the former telecommunications sector along with a number of media and internet companies12. In the S&P 500, the new sector accounts for about 10% of the index. Following the change, the S&P 500 sector weight of the consumer discretionary sector dropped from roughly 13% of the index to 10%13 while the technology sector dropped from approximately 26% to 21%14. Notable S&P 500 companies affected by the change include Facebook (FB), Alphabet (GOOG), Netflix (NFLX) and Disney (DIS). Jobs report expects continued labor market strength. Friday’s U.S. jobs report is expected to reflect a positive backdrop with 185k jobs added, just under the 2018 average of +207k. After hitting the highest levels since 2009 at 2.9% year-over-year (y/y), surveys expect wage growth to tick down to 2.8% y/y. This would place it in the 2.6% - 2.8% y/y range that it has floated around for most of 2018. The unemployment rate is expected to tick down to 3.8%. The last Fed meeting included a forecast for continued economic growth despite potential headwinds from increasing tariffs. Fed officials will continue to monitor the labor market to make sure the environment is suitable for their plans to gradually normalize monetary policy. Currently, Fed funds futures are currently pricing in a 71% chance of a December Fed rate hike15. Final PMI data expected to show ongoing U.S. growth momentum. Reviewing the major regions, Purchasing Managers’ Index (PMI) data is expected to be highest overall in the U.S. Both manufacturing and services PMI data have dropped since the beginning of the year across most of the major regions except for the U.S. Composite PMI figures that will be released this week are also expected to reflect this trend as readings in Germany, Europe and the UK are all expected to drop from prior levels. 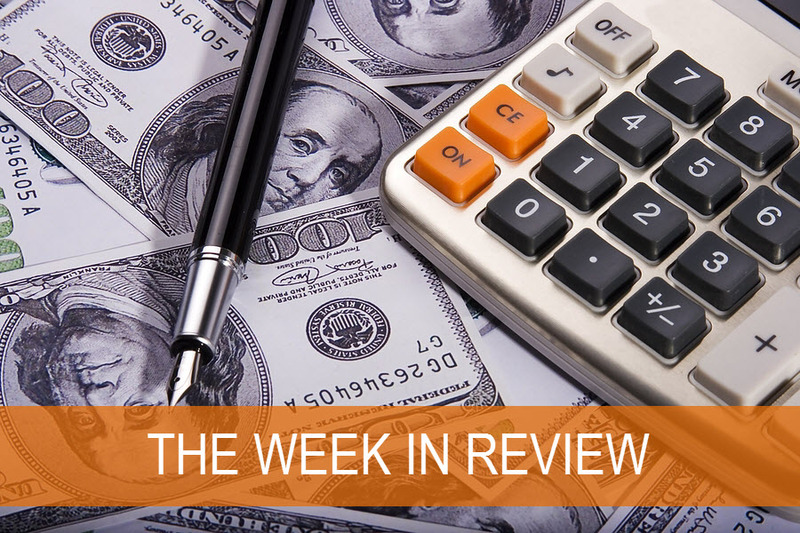 With the third quarter wrapping up and earnings season around the corner, investors will review U.S. companies’ earnings closely for trade impacts as well as confirmation that benefits from tax cuts are continuing to provide support. 1)Bloomberg, MSCI World Index return 24Sep2018 – 28Sep2018. 2) Bloomberg, MSCI U.S. Equities IMI Index return 24Sep2018 – 28Sep2018. 3) Bloomberg, MSCI ex-U.S. Equities IMI Index return 24Sep2018 – 28Sep2018. 4)Bloomberg, MSCI Emerging Market Equities Index return 24Sep2018 – 28Sep2018. 5)Bloomberg, MSCI World Index return 02Jan2018 – 28Sep2018. 6) Bloomberg, MSCI U.S. Equities IMI Index return 02Jan2018 – 28Sep2018. 7) Yield Curve is constructed by plotting a session’s final yields for various maturities including 1-month, 3-month, 6-month, 1-year, 2-year, 3-year, 5-year, 7-year, 10-year, 20-year and 30-year maturities. A flat yield curve would show similar interest rates between the various maturities. 8) Bloomberg, Yield of the 2-Year and 10-Year nominal Treasury rate using data available as of 28Sep2018. Basis Point (BPS) refers to a common unit of measure for interest rates and other percentages in finance. One basis point is equal to 1/100th of 1%, or 0.01%, or 0.0001, and is used to denote the percentage change in a financial instrument. 9) Bloomberg, Fed Funds Futures Index 28Sep2018. Fed funds futures are used by banks and fixed-income portfolio managers to hedge against fluctuations in the short-term interest rate market. They are also a common tool traders use to take speculative positions on future Federal Reserve monetary policy. 10) Bloomberg, MSCI U.S. Equities IMI Index return 26Sep2018. 11) Bloomberg, Yield of the 10-Year nominal Treasury rate using data available as of 26Sep2018. 12) Bloomberg, S&P 500® Communications Services Index comprising those companies included in the S&P 500 that are classified as members of the new GICS® Communications Services sector. The Global Industry Classification Standard (GICS) is an industry taxonomy developed in 1999 by MSCI and Standard & Poor's (S&P) for use by the global financial community. The GICS structure consists of 11 sectors, 24 industry groups, 68 industries and 157 sub-industries into which S&P has categorized all major public companies. GICS is used as a basis for S&P and MSCI financial market indexes in which each company is assigned to a sub-industry, and to a corresponding industry, industry group and sector, according to the definition of its principal business activity. 13) Bloomberg, S&P 500® Consumer Discretionary Index performance 28Sep2018. Comprising those companies included in the S&P 500 that are classified as members of the GICS® consumer discretionary sector. 14) Bloomberg, S&P 500® Technology Index performance 28Sep2018. Comprising those companies included in the S&P 500 that are classified as members of the GICS® technology sector. 15) Bloomberg, Fed Funds Futures Index 28Sep2018.